This month’s member highlight is on Malcom and Michele Ray, owners of Safety Adjusters, Inc. and high school sweethearts who’ve been together for nearly 35 years. 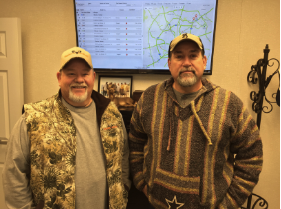 Safety Adjusters, Inc. was founded in 1965 by Doyle Ray, Malcolm’s Dad; the two bought the company in 1988 and have been running it side by side ever since. They have been ARA members since 1981 and also belong to TFA. Malcolm is a lifetime member of the Young Men’s Business League (YMBL) and has served in numerous positions throughout the years, including President, Fair Chairman, Rodeo Chairman and Board Member. Both Malcolm and Michele have been volunteers and have donated their time to working YMBL charity events and to various other efforts to raise money to find a cure for Cancer, Muscular Dystrophy and many other diseases. Michele is an animal rights activist, donating time and money to local animal shelters in an attempt to rescue and find forever homes for neglected and abused animals. When not working or donating his time, Malcolm enjoys working on his farm, traveling with family and trail riding. Michele enjoys anything family, interior decorating and design, and for those of you who know her… shopping! Mar 1, 2017 • ARA Member Spotlight, News • Comments Off on Home Office Has Moved! That’s right, our office has officially moved. The new address is: 1400 Corporate Drive, Suite 175 | Irving, TX 75038. Please take note of this address change for any of your administrative purposes, especially for any mail you plan to send us. We would like to highlight Nichole Harvill, CSR, of A.R.B. of Louisiana Inc. for being the first visitor to ARA’s new home office! 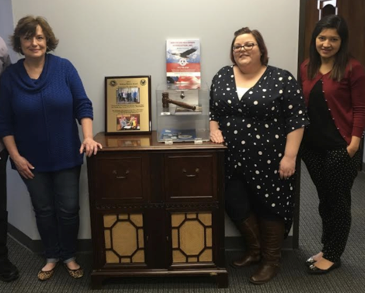 We’d also like to thank Tricia Corkern and Reina Pastrana for holding down the fort at home office and for their exceptional service to ARA. This presentation is geared towards owners, managers, employees, and field agents. This month’s member highlight is on new board member Brad Webb of Premier Adjusters. Back in November on one of the coldest nights of the year, Brad’s adjuster, Dave Wojcik, repossessed a vehicle for a major lender. As Dave was driving down the road he noticed the lights on the car were flashing, so he pulled over and found the owner of the vehicle inside. It turned out that the elderly man had been sleeping in his car because he had recently lost his job and couldn’t afford to pay his electric bill. Brad and Dave decided to split the man’s electricity bill to help him get through the Thanksgiving holiday. 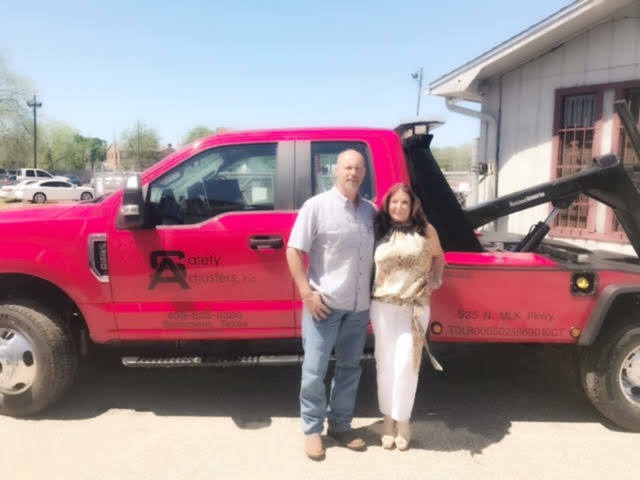 The following day the gentleman redeemed his vehicle and thanked everyone at Premier Adjusters for their kindness and informed them he had just gotten his old job back and that things were looking up for him. Thank you Brad and everyone at the Premier Adjusters office for going above and beyond your duties and upholding the highest moral standards. This month’s member highlight is Joan Hudson, owner of A.R.B. of Louisiana and 17-year ARA member and Director. 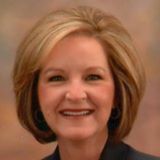 Outside of being an exemplary ARA board member, Joan is passionate about volunteering with the non-profit Providence House, a shelter for battered women and their children, in Shreveport, Louisiana. Providence House is more than just a shelter, it’s also a rehabilitation center that takes 18 families at a time through an 8-week course to teach life and job skills. Once the family completes the course, Providence House provides them with housing. Joan runs errands, picks up groceries from Brookshire’s, fulfilled Christmas gifts for an entire family, and worked with John Messiah at Uber to provide the women at Providence House with a special Uber discount that allows them to get from point A to point B. Joan is grateful to have support from her whole A.R.B. team and says Providence House is a great cause that she is happy to put her time and energy into. Thank you Toni, for inspiring all of us and for being such an exemplary ARA member. 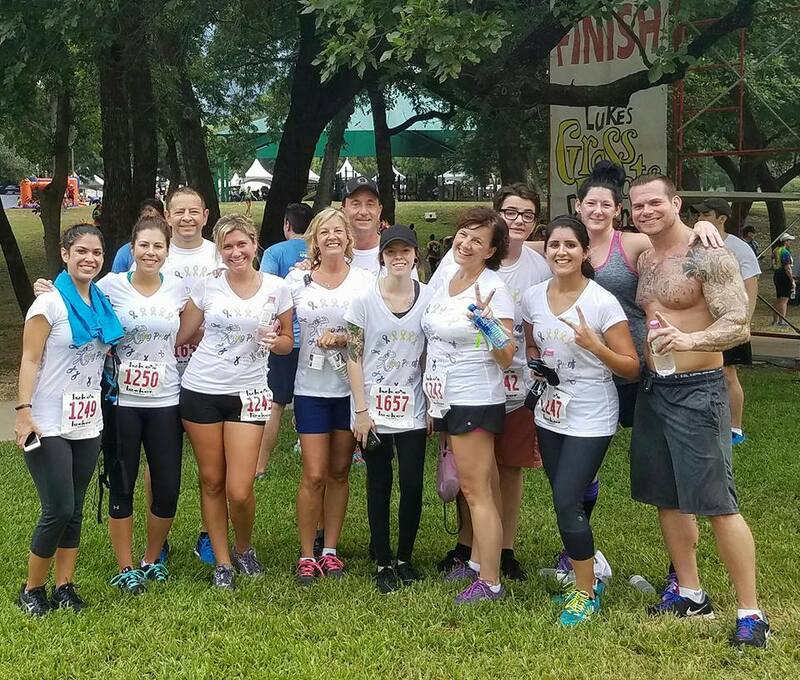 We’d also like to give a shout out to Paul Bruce, ARA Member from Northeast Adjustment Bureau in Boston, MA, who also raced in and donated to the North Texas cancer race in September. John Morgan is ARA’s director of compliance. If you haven’t spoken to him and/or seen him speak, you need to. As the director of compliance, he vets and ensures all documents that are put into ARA’s compliance program are validated and put in their proper spot. He also, within ARA’s Green Light program, contacts members with any issues they may have within their compliance documents. He also coordinates site inspections with Home Office. When he’s not keeping ARA members in the green, he spends his spare time making spirit signs for high school sports programs (think football, basketball, etc.) and end of the season senior gifts. Most of the money he’s paid goes back into the sports program. It’s his labor of love. His biggest project this past year was a sign for a catholic school that took him six months to complete. 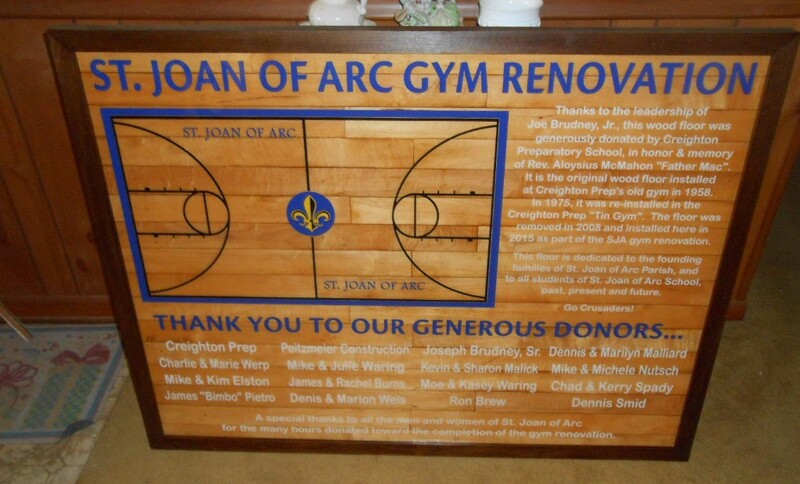 The school wanted to honor those who contributed to making the new floor a reality, so John took pieces from that old floor and created a 4’ X 3’ tribute. If you want to know about our compliance program or simply want to get to know John, email him at john@americanrecoveryassn.org.